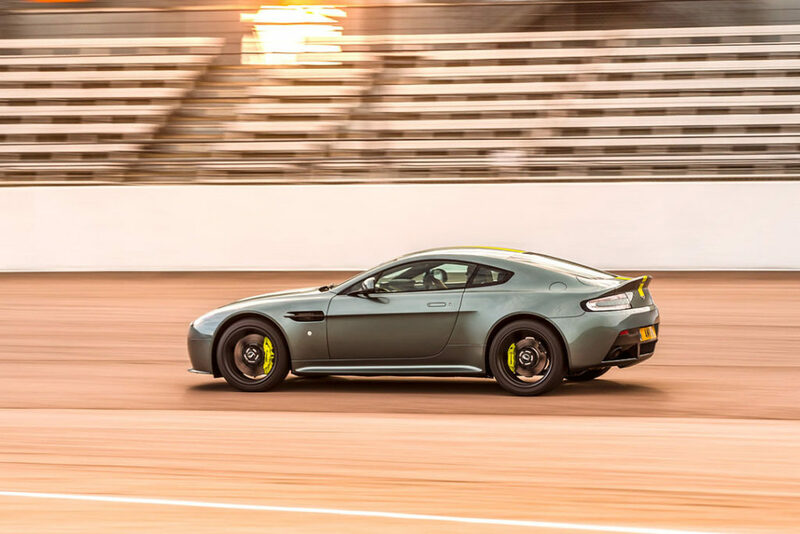 “…they’re so good to drive I’m confident we’ll see many of them being enjoyed both on the road and at track events around the world.” Dr Andy Palmer, CEO, Aston Martin Lagonda Ltd. 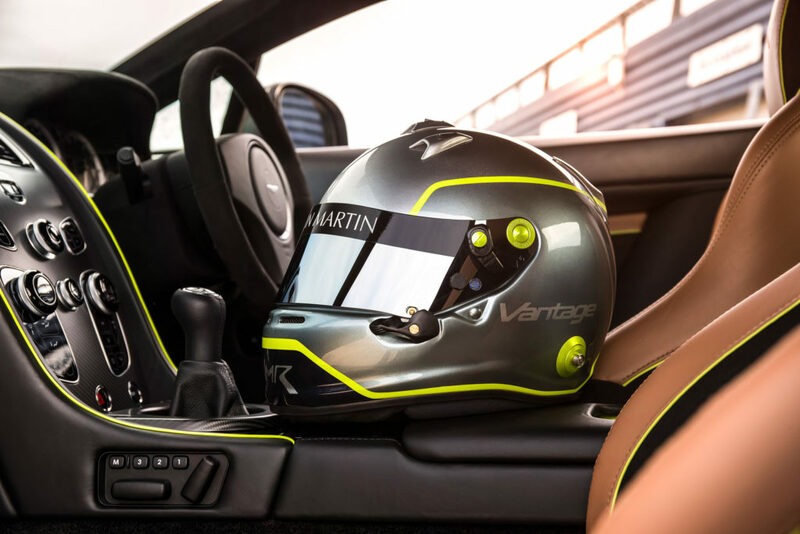 The Vantage name has long been synonymous with more extreme performance Aston Martins since the 1950s, so it seems fitting that the Vantage AMR should be the first series production derivative of Aston Martin’s new race-inspired performance range. 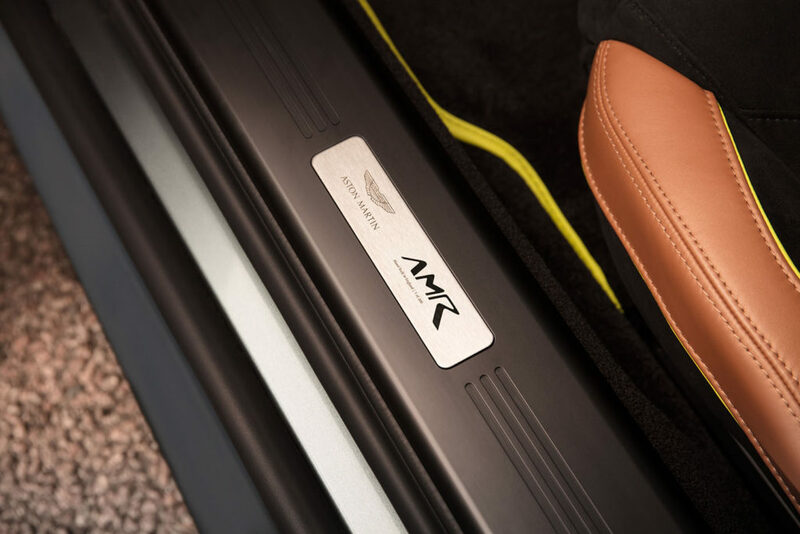 Launched at the Geneva Motor Show earlier this year, AMR (Aston Martin Racing) amplifies and accentuates the performance capabilities of the road cars, by taking inspiration or direct influence from Aston Martin Racing’s participation in the FIA World Endurance Championship; a series with which the marque tasted world championship success with factory drivers Nicki Thiim and Marco Sørensen last season. 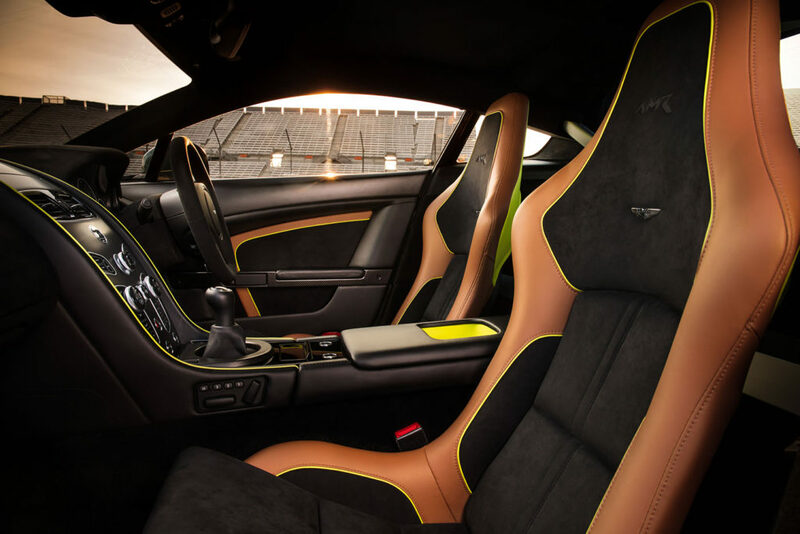 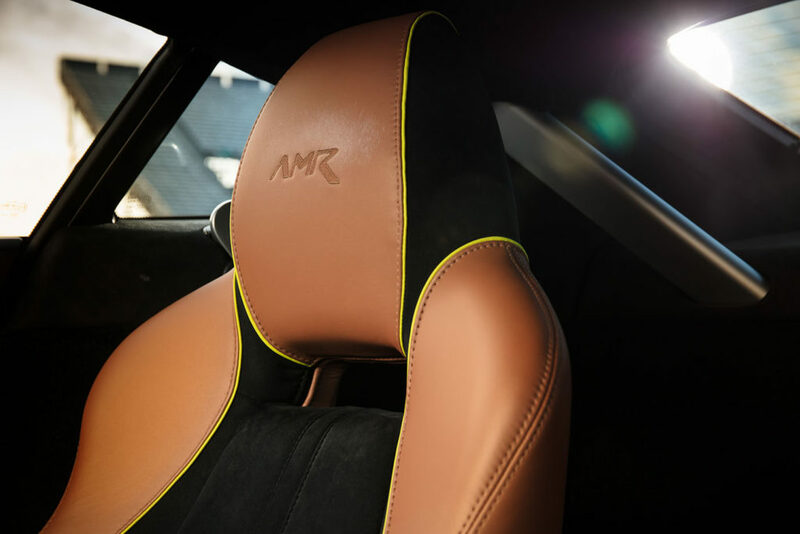 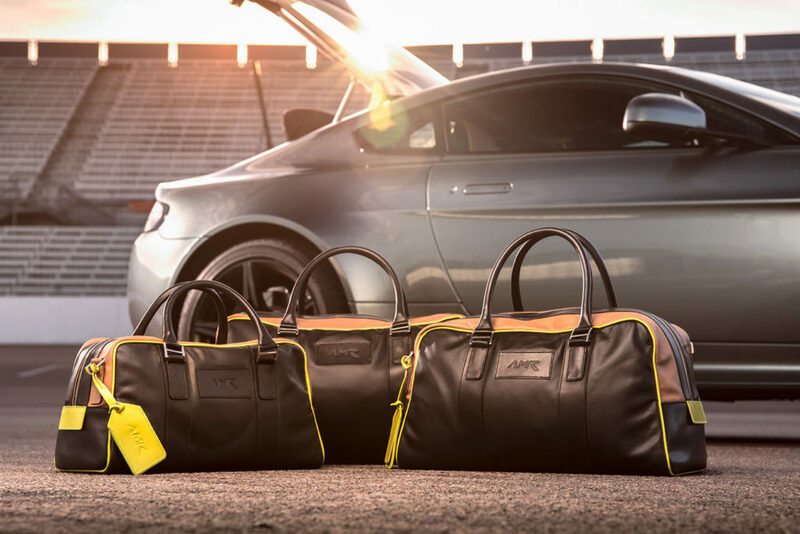 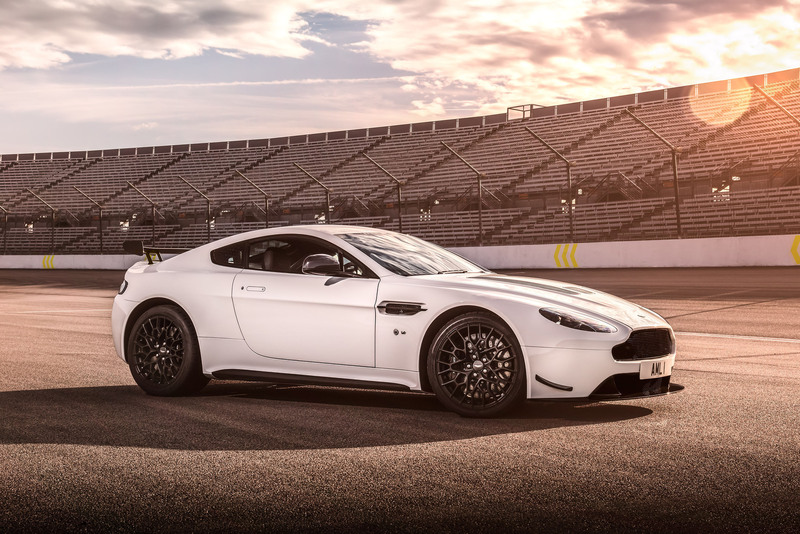 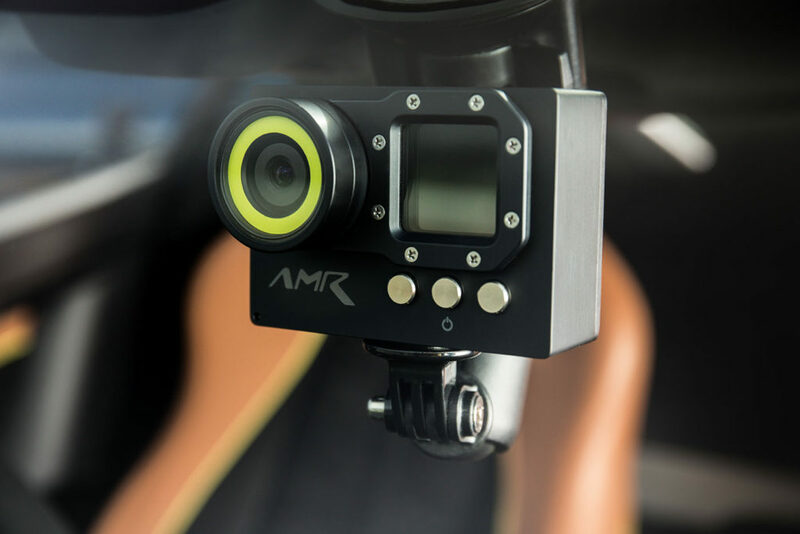 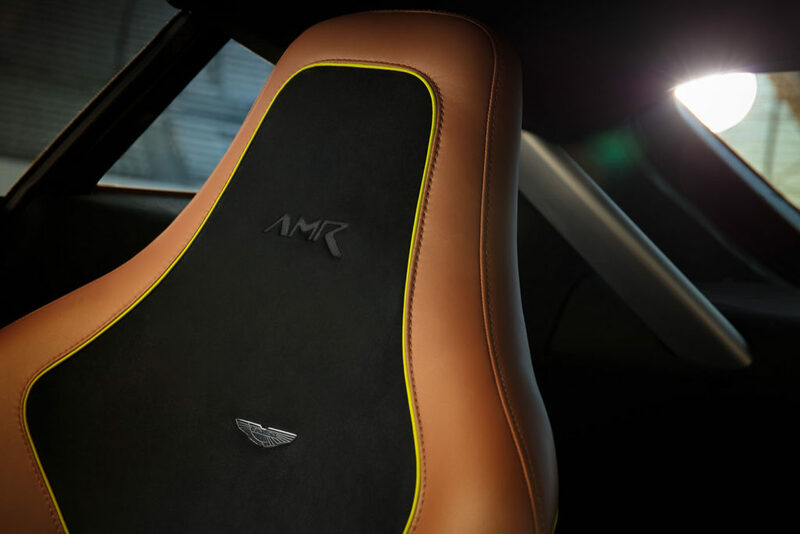 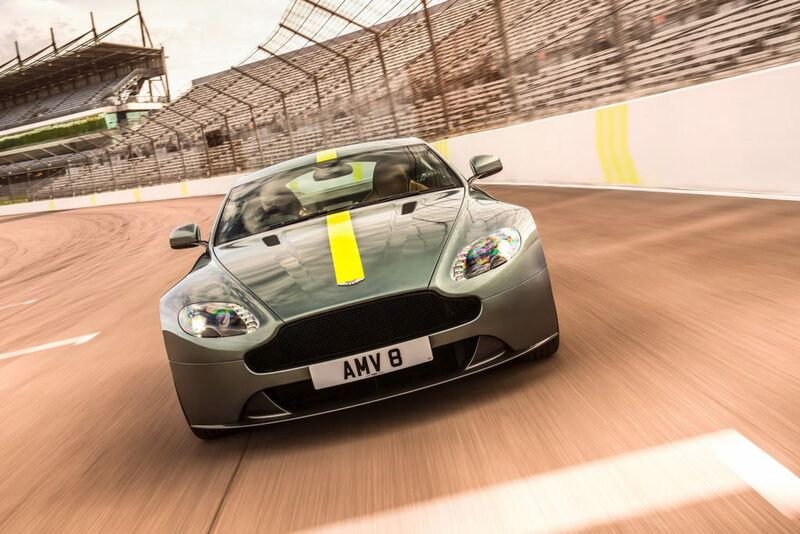 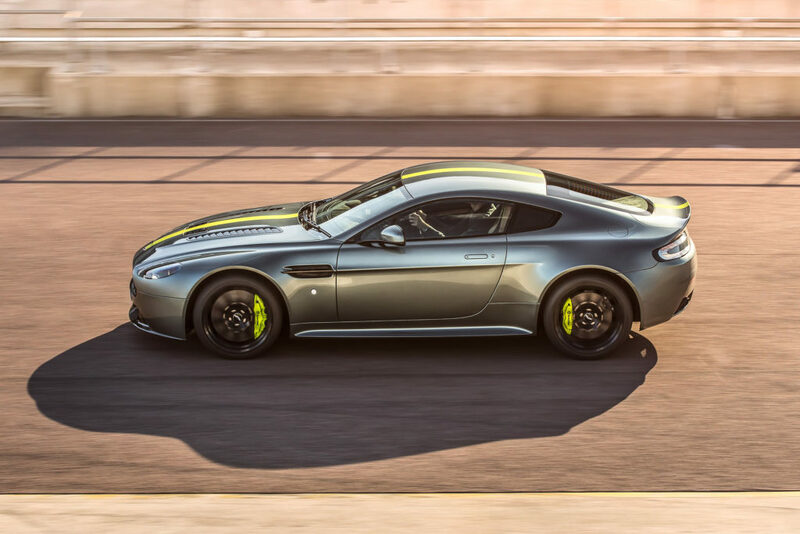 The AMR brand has two distinct tiers, Series production limited-edition models such as the new Vantage AMR sit at its entry point, while extreme and extensively modified AMR Pro models, created by Q by Aston Martin Advanced Operations, sit at the pinnacle of the range, including the exclusive Vantage AMR Pro unveiled at this year’s Geneva Motor Show. 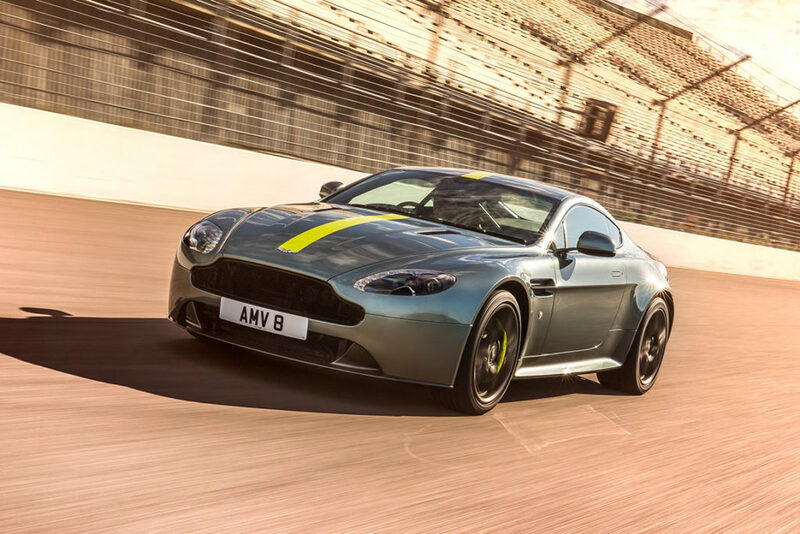 As you would expect, the Vantage AMR stays true to Aston Martin’s passion of offering cars with sharpened looks to match their performance and character. 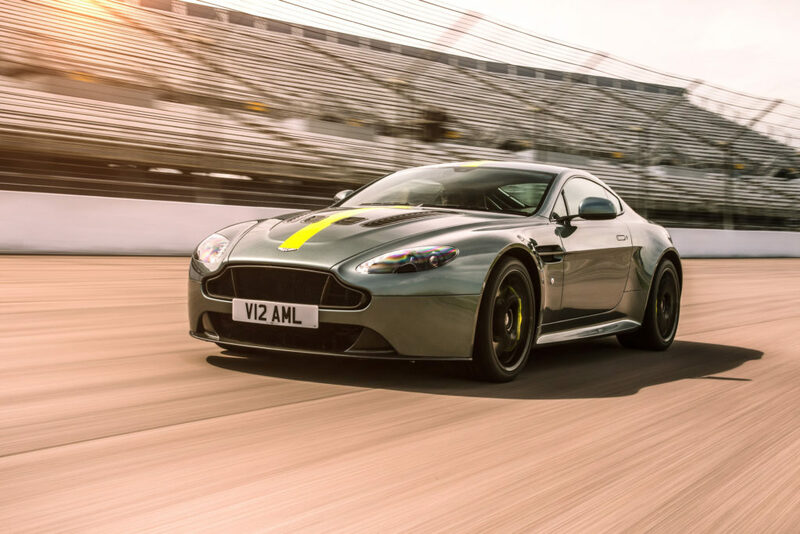 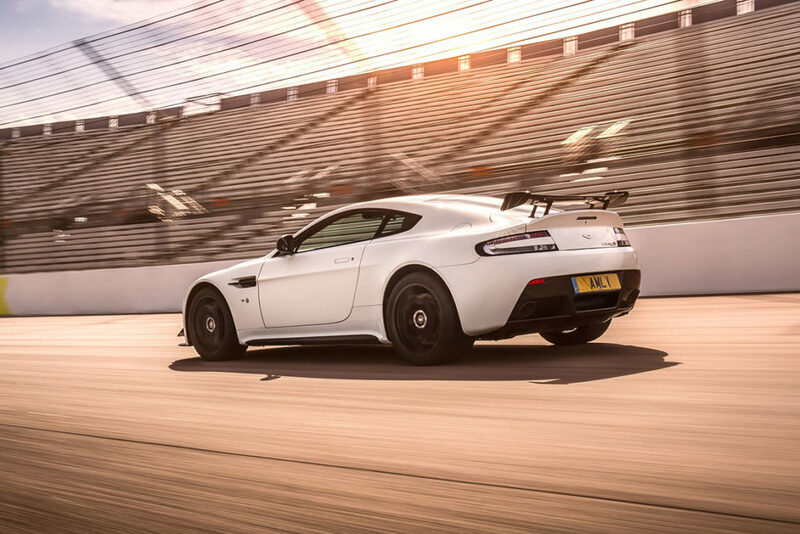 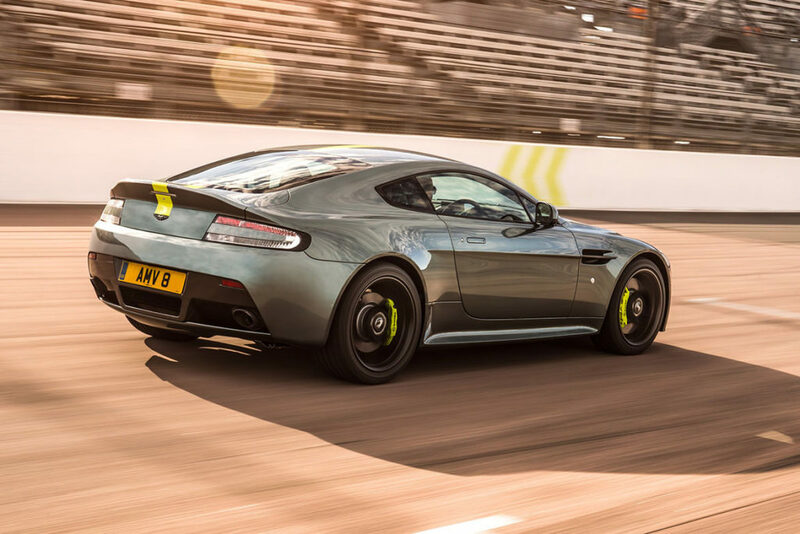 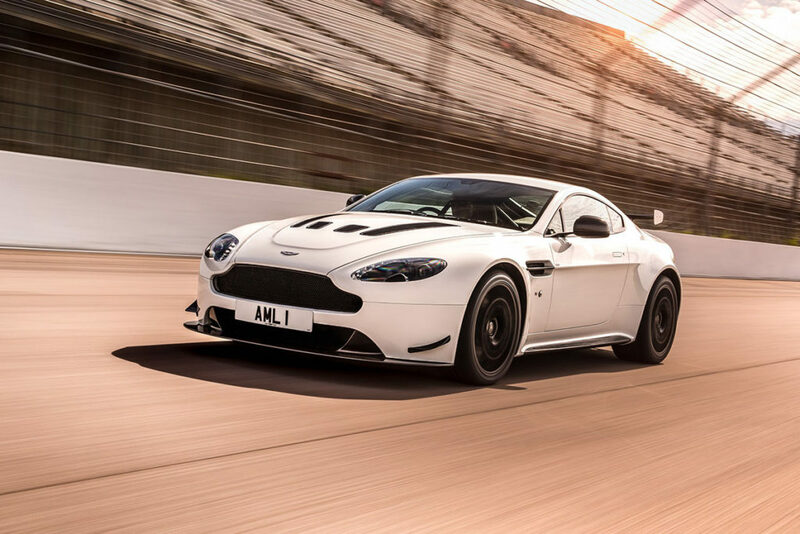 A celebration of Aston Martin’s worldwide success across GT4, GT3 and GTE categories, the Vantage AMRs are offered both with 430 bhp V8 or 595 bhp, V12 powertrain options. 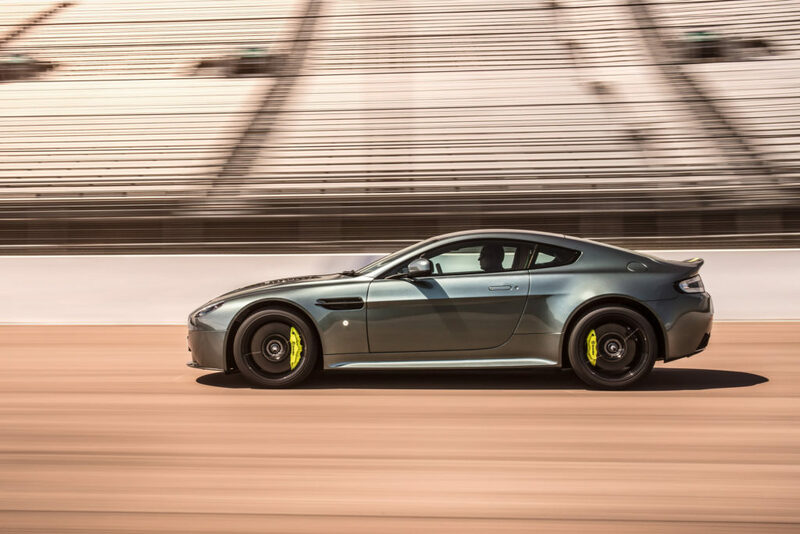 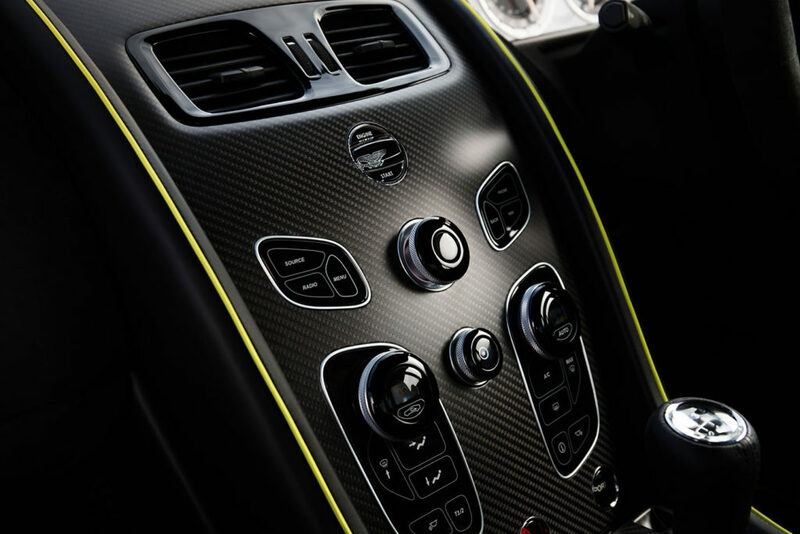 Both engines are fitted with automated sequential manual paddle-shift transmissions, or for the purist, six and seven-speed manual gearboxes in the V8 and V12 Vantage AMRs respectively. 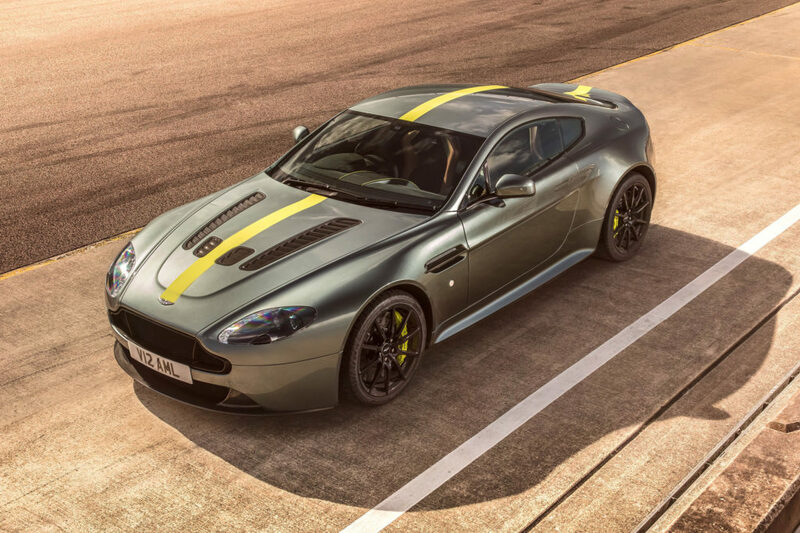 The Vantage AMR is available in four AMR exterior schemes; Stratus White with an Orange graphic; Ultramarine Black with Blue graphic; Zaffre Blue with Red graphic; and Scintilla Silver with Grey graphic. 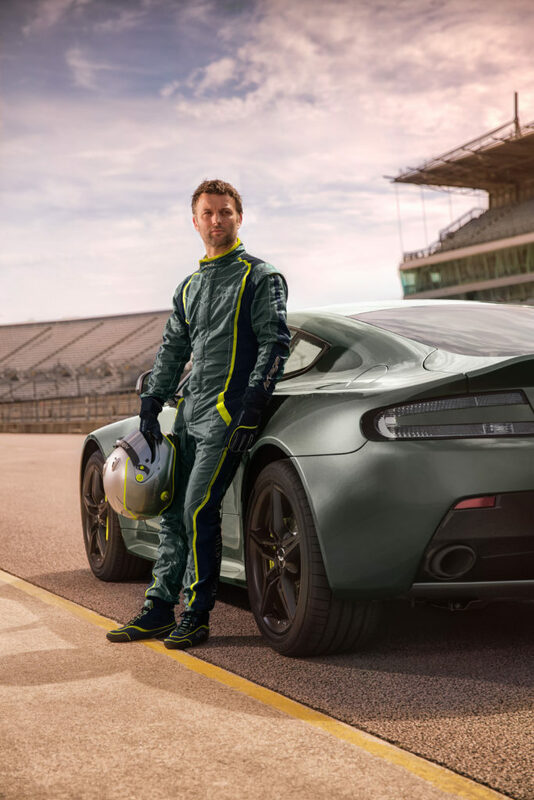 In addition, the AMR ‘Halo Pack’ takes direct inspiration from Aston Martin Racing’s 2016 World Endurance Championship-winning No. 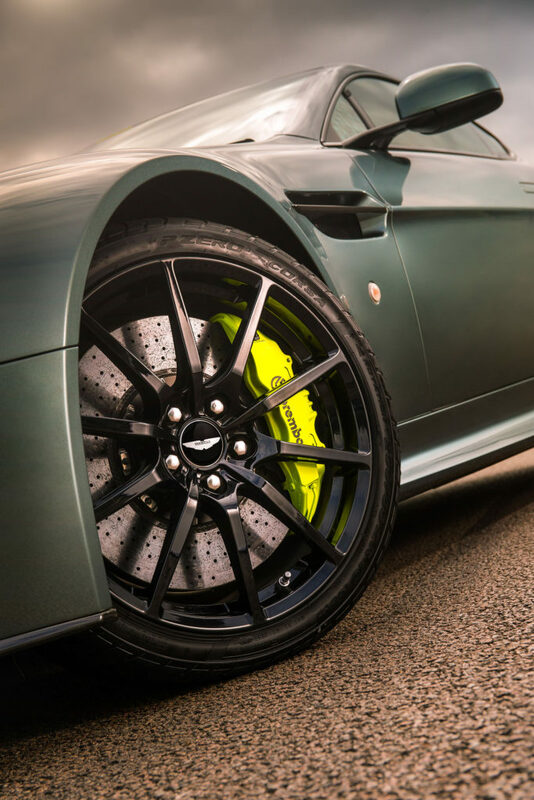 95 Vantage GTE, working a combination of Stirling Green paint and vivid Lime Green accents to dramatic effect. 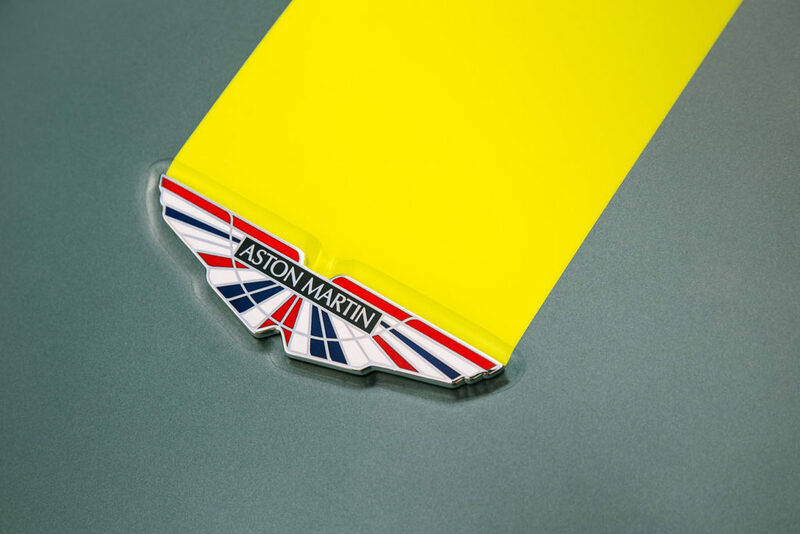 As a finishing touch, a special Union Jack-enameled AML wings badge, previously featured on last year’s GTE racer, is available as a no-cost option. 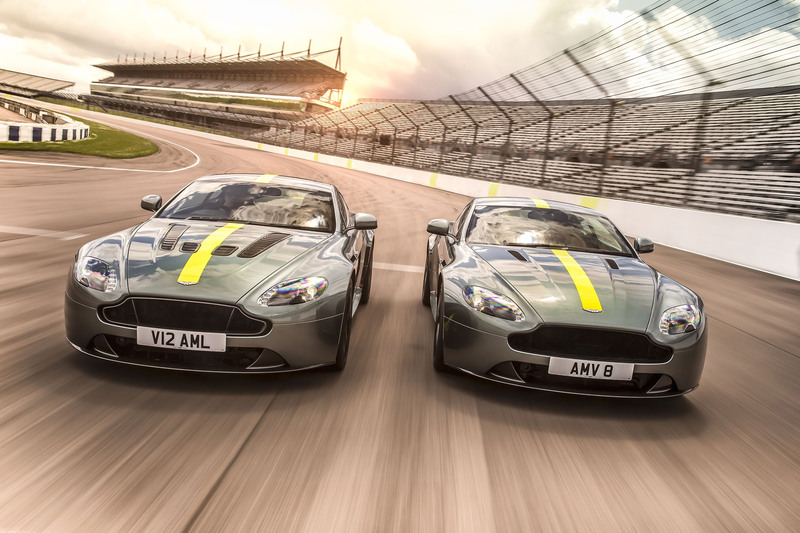 Both V8 and V12 Vantage AMR models are available in both Coupe and Roadster body styles in selected markets, with recommended retail prices starting from £97,995 in the UK and €126,995 in Germany. 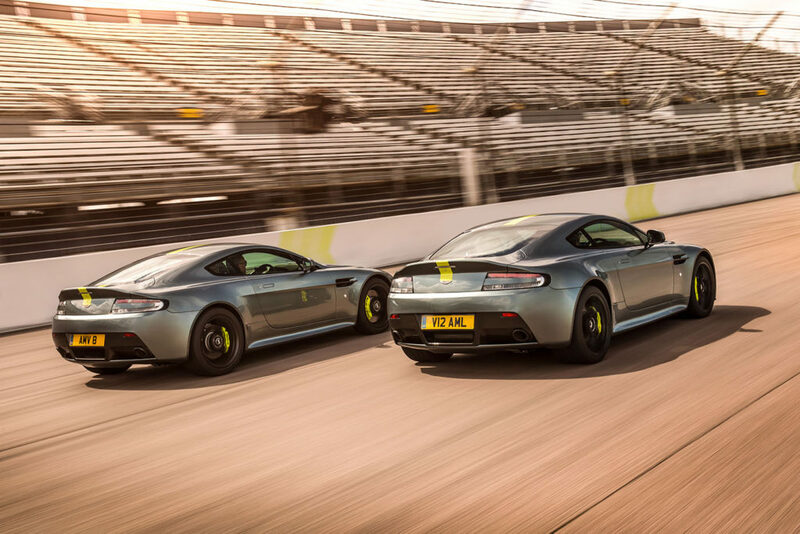 Deliveries are scheduled to commence by the end of 2017. 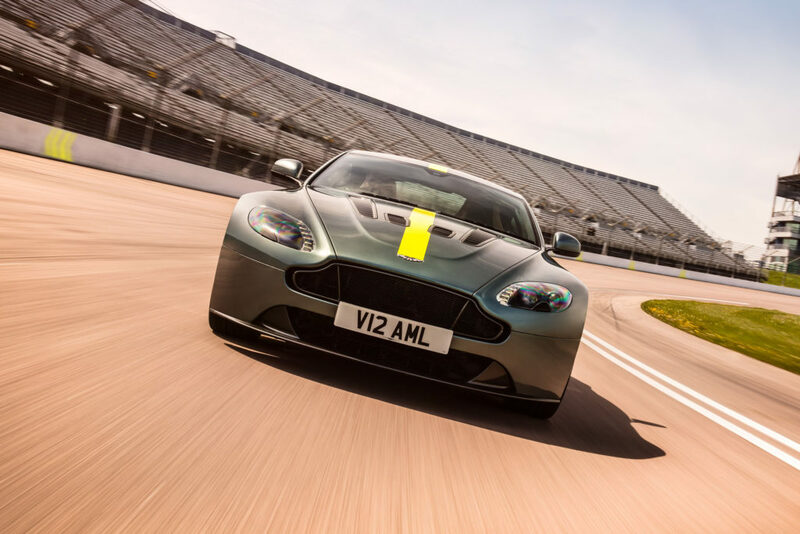 Both Vantage AMR models will be on display at this weekend’s 85th running of the 24 Hours of Le Mans, as Aston Martin Racing returns to the Circuit de la Sarthe in search of GTE class victory.